About twenty-five years ago, a farm activist named Jim Hightower warned of “the McDonaldization of America” (qtd. in Schlosser). He pictured the emerging fast-food trade as a threat to independent business, as a step toward the economy of food being dominated by giant corporations and a homogenizing influence on American life. A lot of what he warned us of has come to pass. The fast-food industry rising has brought along important changes in how the food in America is produced. The success that the fast-food industry has brought has encouraged other industries to adopt some of its business methods. This has filled malls and main streets with nothing but franchises and chain stores (Schlosser). “A person can now go from the cradle to the grave without spending a nickel at an independently owned business” (Schlosser). However, fast food really hasn’t been around that long. Back in ancient Greece and Rome, taverns usually served food to people who had a reason to be away from home. This continued until relatively recently. Eating out for fun didn’t take off as an idea until the late 1700s. White Castle is considered by most people to be the first fast food chain. It was founded in 1921 in Wichita, Kansas. Most people at the time considered most burgers low-quality, but White Castle decided to change the public’s opinion of that. They made it so their customers could see their food being prepared, and even picked a name that suggested cleanliness. Its success helped give hamburgers a better reputation among the public, giving White Castle an important role in the development of the fast food industry (Wilson). Although White Castle is considered the first fast food chain, it was McDonald’s who started using the assembly-line system. They didn’t use it right away though. Brothers Richard and “Mac” McDonald had a successful drive-in for years, but by the end of the 1940s they had become dissatisfied with the business. They always had to look for new car hops and short-order cooks as people left for higher paying jobs, and they were tired of replacing the dishes and silverware that teenagers broke or ripped off. So they decided to try something new (Schlosser). In 1948, they fired all their car hops and closed their restaurant for some changes. They installed a larger grill and reopened about three months later with a new method of preparing food. They totally changed the menu and got rid of every item that had to be eaten with a fork, knife, or spoon. The only sandwiches left on the menu were now hamburgers and cheeseburgers. They also replaced dishes and glassware with paper cups, bags, and plates. The food preparation was divided into separate tasks, which made it so each worker only had to be taught how to perform one task. This radical new method of making food made the fast food industry soar (Schlosser). The founder of Taco Bell, Glen Bell, ate at this new McDonald’s and loved the idea, so much so that he decided to copy it. He chose to make Mexican food using the assembly-line system instead, and opened his first Taco Bell in 1962. Thomas S. Monaghan, the founder of Domino’s, bought a pizzeria for $900 dollars in Ypsilanti, Michigan in 1960. He also used the assembly-line system. Many people tried to start their own fast food chains; it was risky, but the start-up costs were fairly low. As long as you were willing to work for it, you had a shot (Schlosser). As the fast food industry started to rise, the economy started to change drastically. “The centralized purchasing decisions of large restaurant chains and their need for standardized products have given a small number of corporations an unprecedented degree of power over the nation’s food supply” (Schlosser). All of these chains use a ton of advertising, especially McDonalds. McDonalds spends more money on advertising and marketing than any other brand, most of it targeted at children. The fast food industry as a whole spends about $4 billion a year on advertising alone (Schlosser). Our society discourages eating healthy food. There’s constant advertising and marketing of the poorest quality foods imaginable. You’d think that people would want to make healthy foods cheap, convenient, and widely available as to address this issue, but we’ve done the opposite (Lambert). Fast food has become very common around the nation. With more women in the work force these days, moms aren’t at home all day preparing meals. With all the things that people have to do nowadays, there really is less time in the day. This means that heating something up in the microwave or going to the drive-through at McDonald’s is much easier (Lambert). In 1970, money spent on foods eaten away from home accounted for 25% of total food spending, and by 1999 it had reached a record 47% of total food spending (Paeratakul). Employment in fast food isn’t very pleasant, but it is common. An estimated one of every eight Americans has worked at McDonald’s. The vast majority of fast food employees don’t have full-time employment, receive no benefits, and constantly float from job to job. The worst part about it is that the only Americans who earn lower wages today than fast food workers are migrant farm workers (Schlosser). The conditions are pretty terrible, but for teenagers it doesn’t really matter. Fast food chains are some of the only places that allow 14-16 year olds work there, and most of them don’t care about benefits or how much they get paid, as long as they get some money. Fast food has not only changed the economy, but it has significantly changed the way people eat. Today, the typical American consumes about three hamburgers and four orders of French fries every week. That is a lot of fast food. 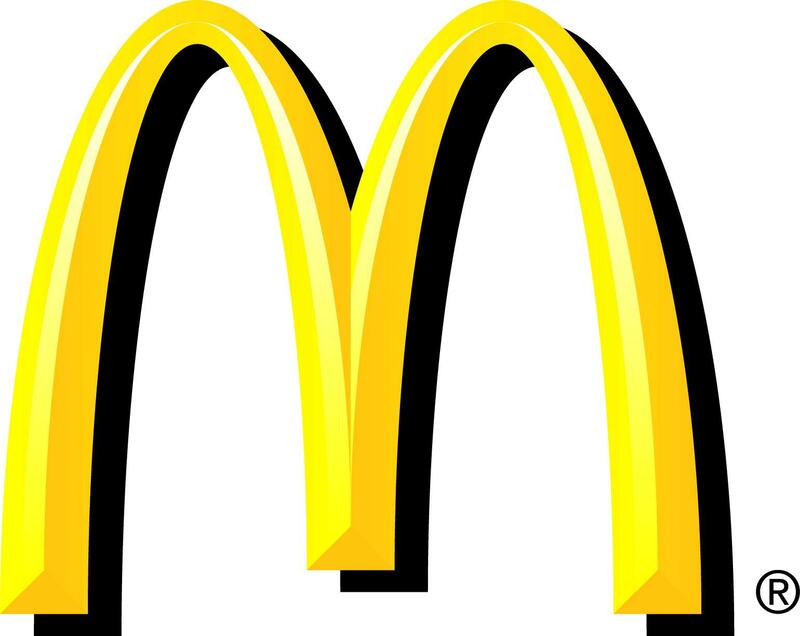 Seven percent of the US population visits McDonald’s every day, and twenty to twenty five percent eat in some kind of fast food restaurant daily (Paeratakul). It seems that fast food has become very popular and with that, our portion sizes have increased dramatically. In the 1950s, a Pepsi-Cola bottle was only twelve ounces, and that was considered a lot. For decades, twelve ounces was the standard serving size for all soft drinks. But since the introduction of fast food, mainly around the 1970s, bottles have grown to twenty and twenty-four ounces, even one-liter (33.8 ounces) bottles are marketed as single servings (Paeratakul). None of this food is good for you, and making the portion sizes bigger just makes it worse. Fast food contributes to high intake of energy, fat, sodium, carbonated soft drinks, and fried potato, and low intake of milk fruits, vegetables, dietary fiber, and some vitamins (Paeratakul). It’s not healthy, but we keep eating more and more of it. Today, Americans eat 200 calories more food energy per day than they did ten years ago. That alone would add twenty pounds to one’s weight annually. Childhood obesity has also risen quite drastically in the last few years. Fifteen percent of children between ages six and nineteen are now overweight, and even ten percent of children between two and five (Lambert). “In 1980, 46% of US adults were overweight; by 2000, the figure was 64.5%: nearly a 1% annual increase in the ranks of fat. At this rate, by 2040, 100% of American adults will be overweight and it may happen more quickly” (Lambert). Fast food is definitely not good for people. As you can see, fast food has been growing since its introduction, and not in a good way. The giant corporations are gaining more power over our food supply than they should ever have, and they’re advertising all over TV for people to eat more and more fast food. Nothing in fast food restaurants is fresh except for the salad greens, the tomatoes, and some of the toppings (Schlosser). The value meals and low prices disguise the real costs of fast food. As the old saying goes: you are what you eat. Lambert, Craig. “The Way We Eat Now.” Harvard Magazine. Harvard Magazine, June 2004. Web. 6 Feb. 2014. Paeratakul, S., Ferdinand, D. P., Champagne, C. M., Ryan, D. H., & Bray, G. A. (2003). Fast-food consumption among US adults and children: Dietary and nutrient intake profile. American Dietetic Association.Journal of the American Dietetic Association, 103(10), 1332-8. Schlosser, E. (1998, Sep 03). Fast-food nation, part one: The true cost of America’s diet. Rolling Stone, , 58-72+. Wilson, Tracy, V. “How Fast Food Works” How Stuff Works. How Stuff Works, 22 August 2006. Web. 24 February 2014.